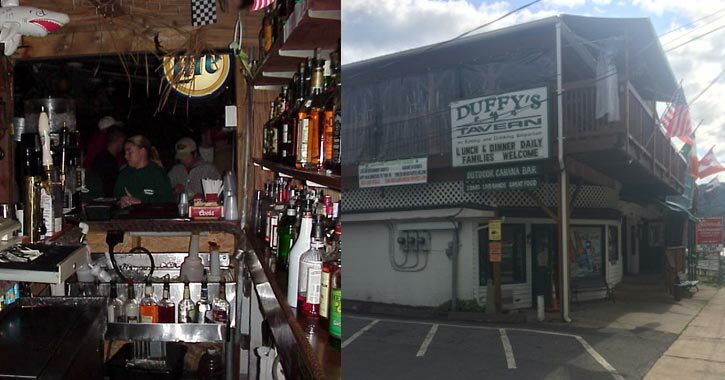 Located at the corner of Amherst Street and Canada Street in Lake George Village, Duffy’s Tavern is one of the community’s most recognizable landmarks. 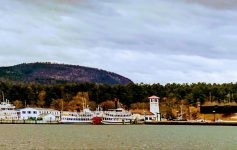 For years, this local establishment has been a Lake George hotspot and welcomed both residents and visitors to enjoy great drinks and company. However, in a recent announcement, co-owner Linda Duffy has decided to put the restaurant and two other properties up for sale. According to an article by the Post-Star, Linda Duffy believes now is the right time to sell their popular Irish pub. Since Duffy’s daughters are preparing to go to college, operating the year-round business would leave even less time for her to enjoy family life. 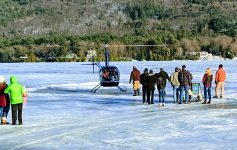 In addition to the restaurant, Duffy has also played a key role in organizing some of the area’s biggest events, such as the New Year’s Day Polar Plunge, Sham “Rock” The Block on St. Patrick’s Day, and in past years, the Lake George Winter Carnival. Although she plans to continue helping out the community, the Duffy family is ready to sell the restaurant and adjoining properties. Currently, Duffy’s Tavern, the property for Duffy’s Corner Deli & Convenience, and the property at 326 Canada Street are for sale as a package or separately. There have already been inquiries about the properties, but nothing has been decided yet. When the region’s real estate business picks up around February, there is a chance some prospective buyers will want to keep Duffy’s the way it is or transform the restaurant in their own vision. In the meantime, Duffy’s Tavern will remain open. 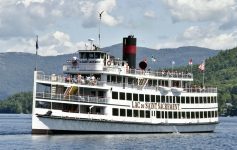 Be sure to stop in at 20 Amherst Street in Lake George the next time you’re in the village!